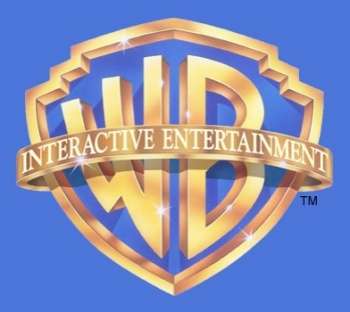 With a string of recent hits under its belt, publisher Warner Bros. Interactive Entertainment is now ready to expand its operations with a new office in San Francisco, California. Officially dubbed "WB Games San Francisco," the newest arm of Warner Bros. Interactive is said to "specialize in developing and publishing high-quality, free-to-play, mobile, social and browser-based games" - so, basically everything other than traditional console titles. Given the emerging success of this particular segment of the market, it comes as little surprise to see WB (or any publisher) making a concerted effort to move into this market whole-heartedly. There's simply too much money there for it to be ignored by any firm hoping to bolster its coffers in a rapid, yet sustainable fashion. However, as with all new efforts, Warner Bros. Interactive has a perfectly diplomatic (if exceedingly dry) explanation of why this is the right thing for it to do (and more directly, why San Francisco is the right place to do it). "As our company has grown over the years, it has been a high priority to attract and cultivate creativity and innovation in top markets for game development around the world," states Warner Bros. Interactive president Martin Tremblay. "The Bay Area is the home of social and mobile gaming and WB Games San Francisco is Warner Bros. Interactive Entertainment's opportunity to expand our game development capabilities into the epicenter of the digital world," adds WB senior vice president of digital games Greg Ballard. "San Francisco is a hotbed of local talent and convenient access to major partners, and this will help us achieve our goal to bring our top entertainment and gaming brands, as well as original IP, to multiple mobile, social and emerging platforms." In sum, San Francisco has long been seen as the mecca of videogame development in the United States (and arguably the world) and Warner Bros. Interactive hopes that by expanding to the Northern California city that it can improve its own development efforts by tapping into the area's rich supply of talented games makers. This morning's announcement concludes by stating that all of Warner Bros. Interactive's mobile game development efforts will henceforth be relocated to the nascent office, which should be seen as a positive for fans of the company's more high-profile console and PC efforts, as it frees up the firm's Washington state headquarters to focus on these more notable (if less lucrative) games. In short, this means that consumers can expect Warner Bros. Interactive to grow in strength as a publisher, which should be seen as good news for fans of games like the recent Mortal Kombat and Batman: Arkham City.